Trimco 976U UL Door Viewer 180°. Drill 9/16" Ø hole thru door. TRIMCO specializes in .. 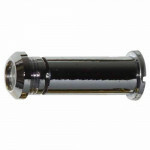 The Ives 698 Brass Wide-Angle One-Way Door Viewer, 190° is for doors 1-3/8" to 2-1/8" thick. Mee.. The Ives U696 Brass One-Way Viewer, 150° is for doors 1-3/8" to 2-1/16" thick. Meets ANSI/BHMA A.. The Ives 700 Brass One-Way Door Viewer, 120° is for doors 1-3/8" to 2-1/16" thick. Meets ANSI/BH.. 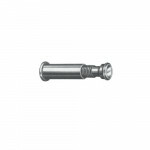 The Ives U700 Brass One-Way Door Viewer, 120° (UL) is for doors 1-3/8" to 2-1/16" thick. 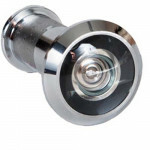 Meets A..
Don-Jo ULDV-180 Door Viewer, 180° Solid Brass with Optical Glass Lens. 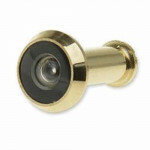 Fits 1-3/8” to 2” Doors.&..
Don-Jo ULDV-90 Door Viewer, 160° Solid Brass with Optical Glass Lens. 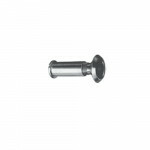 Fits 1-3/8” to 2” Doors.&n..